The market for life insurance is one clouded by misconceptions. The first is about cost. 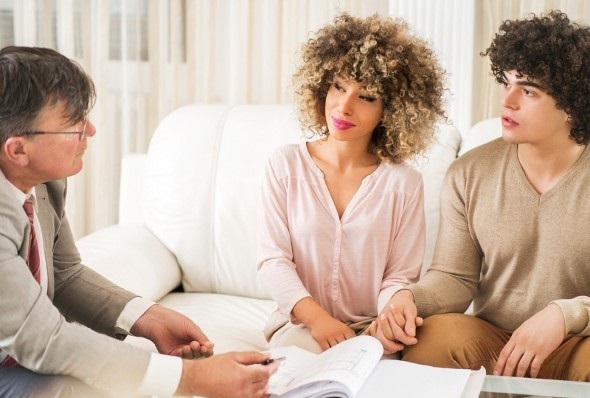 Consumers believe life insurance costs nearly three times as much as it actually does, according to the life insurance research group LIMRA. That’s a pretty wide gap. Imagine, for example, if consumers overestimated the price of milk by a similar amount: at over $10 a gallon, many of us would abandon the 2% and start pouring orange juice over our cereal. And indeed: it turns out the perceived high cost of life insurance is the leading reason consumers who do not have a policy have not purchased one. Just behind that is the issue of complexity. The variety of life insurance options is as vast as the vocabulary used to describe them: variable life insurance, universal life insurance, variable universal life, term life, mortgage life, lump sum, reduced paid-up—and on and on. This is a difficult maze to navigate, and discouragement is common. Of particular concern is whether a given policy is really worth the advertised price. Nobody, after all, wants to get ripped off. Is buying life insurance at all like buying a car? Yes – thank you for that handy analogy! In some ways, buying life insurance is a lot like buying a car. Both are investments that will be with you for many years, and both cost you a fair amount of money. You may have a general idea of what you want at the outset, but unless you’re an expert (i.e. a mechanic or a financial advisor) you can’t be totally sure if you’re getting what you’re paying for. Furthermore, it can be hard to tell the reliable experts from the salesmen. Unless you have a trustworthy outside advisor (and they can be pricey) you have little choice but to believe what you’re hearing. So, as with buying a car, the best thing you can do is arm yourself with a bit of knowledge about the products you are considering. Learn the key terms, understand how different policies work, get a feel for the way they are priced, and compare how different life insurance policies fit your needs. That way, when it’s time to make a purchase, you can be confident you’re getting the right thing based on an informed life insurance comparison. How much you pay for your life insurance will depend on factors including personal details (like age and health) and policy types. An online tool can provide instant life insurance quotes so you can have an idea of what you will pay for what kind of coverage. A good life insurance tool will show you life insurance rates that are actually available. We just so happen to have one for you (what are the odds!?!) right at the top of this page. But if you’re looking for help making some decisions, we’ve got that for you, too. The most basic divide in the life insurance world is that between Term Life Insurance and Permanent Life Insurance. These are the heads and tails of life insurance: you’re either getting one or the other. The difference is a matter of time: one (permanent) lasts for life, and the other (term) lasts for a finite period, agreed upon at the outset. Since permanent life insurance allows you to lock in a rate for the duration, it is generally more expensive than a comparable term policy. Most permanent policies also having a savings feature, which accumulates value over time depending on the terms of the policy. Policyholders can borrow against the cash savings in their plan, or use the savings to pay premiums. 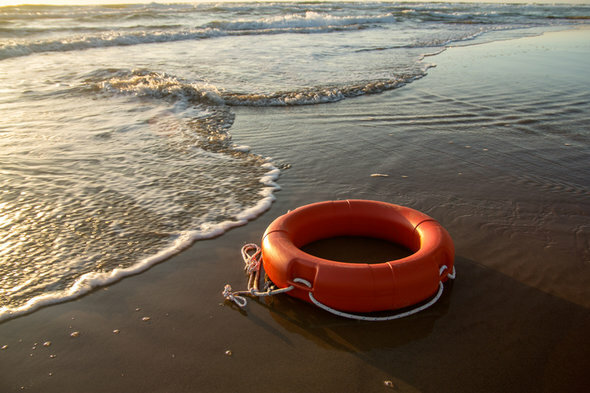 The main benefit of a permanent policy, however, is that it allows you to guarantee that, whatever happens to you for the rest of your life, you will be insured, so long as you continue making your payments. Within the broader class of all term life insurance, there is a further subdivision between Return of Premium policies and Level policies. With a Return of Premium policy, the premiums you pay are set aside and returned to you in full at the end of your term, whereas a Level policy comes with no such guarantee—your premiums, once paid, are gone. For that reason, Return of Premium policies are the more expensive of the two. Once you have settled on a type of insurance that’s the best fit for you, there are a few other factors that the insurance companies use to determine your premium, chief among these your age and your health. Insurance companies want to know how likely they are to pay out your coverage amount: the higher that likelihood, the higher your premium. That's why life insurance rates vary so widely by age. The older you are, the more you can expect to pay. So why don’t all life insurance companies charge exactly the same thing? Even though they largely consider the same factors, life insurance providers can quote vastly different premiums on similar policies. Every company has its own way of determining premiums, and every company weighs your personal details differently. While Alpha Life, Inc. might think your age is most important, Beta Insurance Co. might give more weight to your excellent health. Can you show me some examples of life insurance rates? Definitely. To start out, let’s find some insurance for Jane. She’s 25 years old, in excellent health, and lives in beautiful Ocean City, New Jersey. She’s about to have a baby, and wants to have coverage of $300,000 until her son turns 20. She decides the best policy for her would be a 20 year level term policy. At that coverage amount, and with those specifications, she can get a policy for between $12 and $17 per month. Plus, she’s got options: nine different insurance companies have a policy within that price range, according to our Life Insurance Quotes tool above. Now, let’s try someone on the opposite end of the spectrum. Dale is 60 years old, and he wants to be covered for the rest of his life. He’s in average health and he smokes. He wants a benefit of $400,000 to go to his wife and children if anything happens to him. His policy is going to cost more than Jane’s—somewhere between $1,240 and $1,588, depending on which company he decides to buy from. Dale’s policy is more expensive than Jane’s for several reasons. First of all, he’s older, less healthy and a smoker: all of these factors, in the eyes of an insurance company, make him more expensive to cover. Secondly, he wants a permanent policy. While Jane only needed coverage for the next 20 years, Dale’s policy could cover a much longer period than that. And finally, he wants a larger coverage amount; that too will cost him. Having fun? Want to do one more? Lots of fun! Let’s do one more life insurance comparison. Loving the enthusiasm. For our third example, let’s turn to Melvin. He’s 47 years old, is in good but not excellent health, doesn’t smoke and lives in the City by the Bay: San Francisco. He wants a 20-year policy with a coverage amount of $100,000, and he wants his premiums back at the end of the term. With those requirements, he could find a policy for as little as $81. 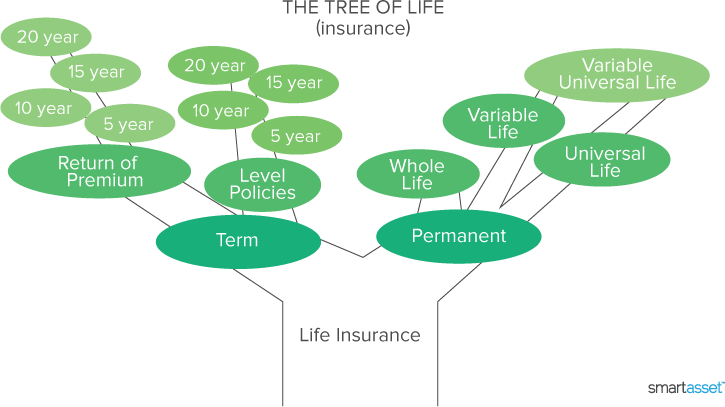 As you can see, there are a lot of things that go into determining a life insurance premium. If you’re thinking about buying life insurance, it’s important to understand these factors, as well as the types of policies that might work for you. Once you’ve settled on a specific policy, it’s time to compare life insurance quotes, and, finally, partner with the company you’re most comfortable with.